Hi Friends!! It's been a minute since I have posted and it's probably because summer-time is a crazy time, but I'm back!!! I have been making this quinoa dish for a while, and I'm not sure why I haven't posted it before. It's so good for so many reasons--It's full of nutrients, of course, but it's also good on salads, in wraps, and it makes a great side dish you can take to a party. It's also super easy to make which is always a bonus. 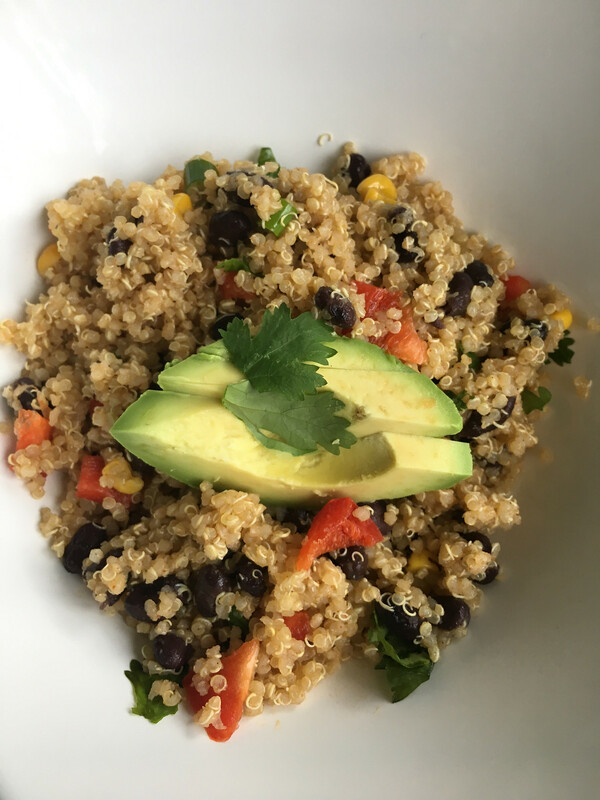 Mix in quinoa, chopped veggies, and beans in the bowl with spices. Mix well. This dish is good hot or cold and stays good up to 5 days. It's a great dish to make ahead of time--Remember, meal prep is key to staying healthy all week long!